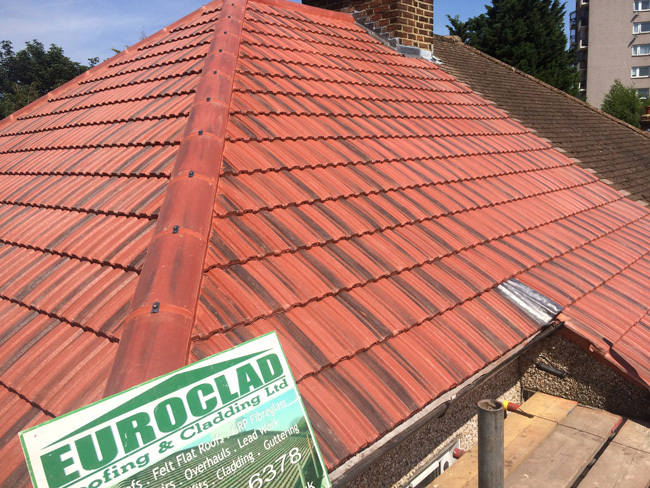 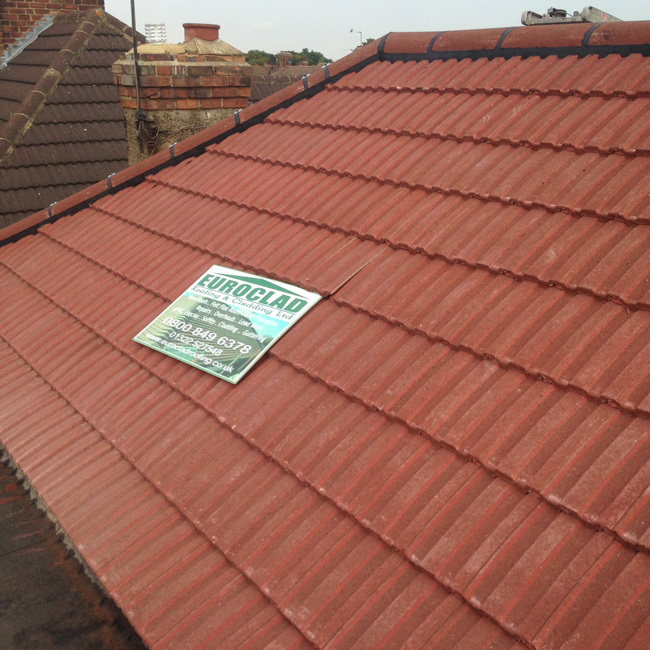 Two plain tile roof's completed by us. 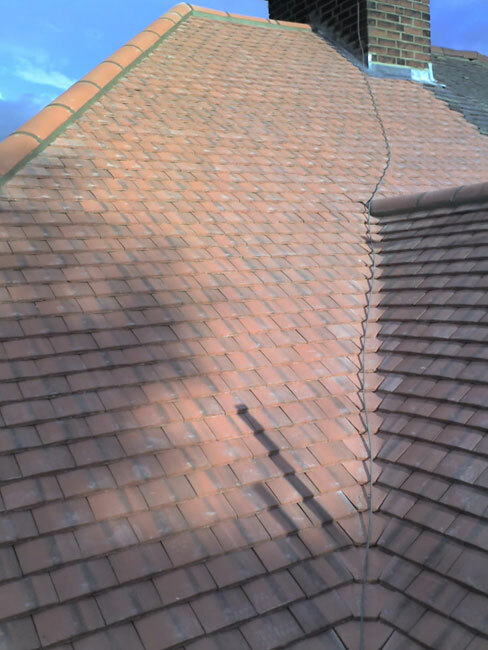 Above is in Redland Farmhouse Red and below Breckland Brown. 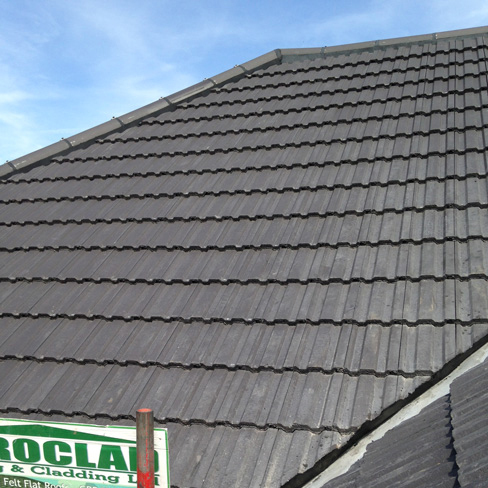 One of the most important parts of your home or business premises is your roof. 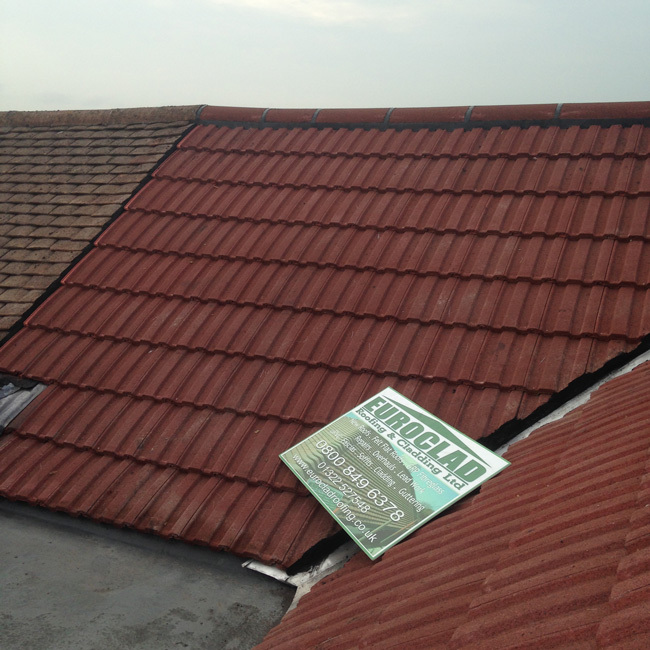 A leaking or insecure roof can lead to long term problems such as rotten timbers or other structural damage. 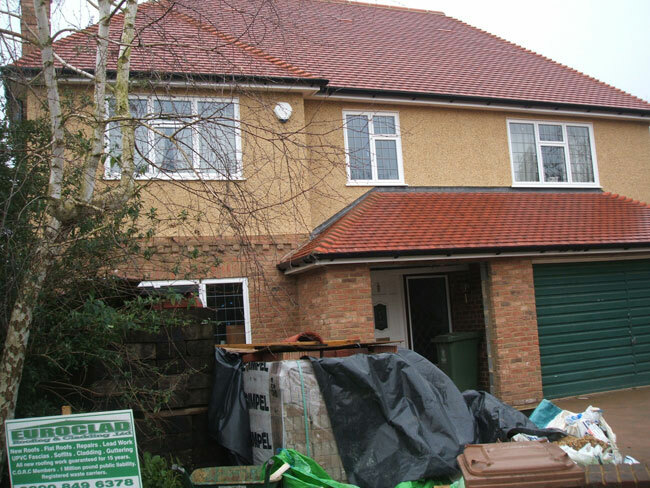 Many homeowners make the mistake of spending time and money on internal refurbishment while neglecting the basic fabric of the building. 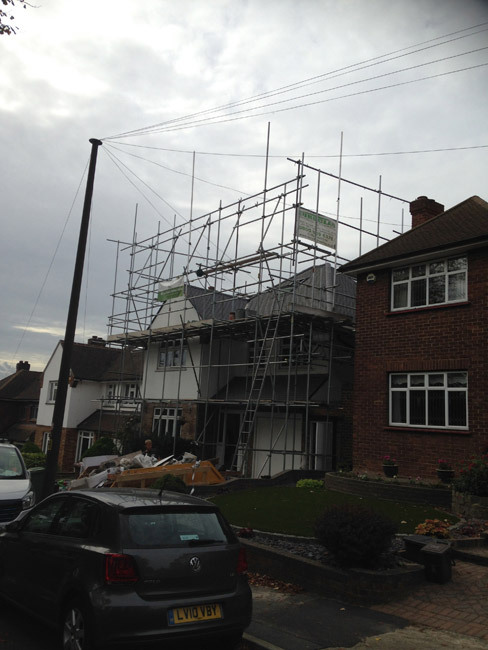 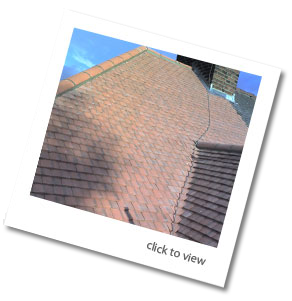 A sound roof is fundamental to protecting your property and maintaining its value. 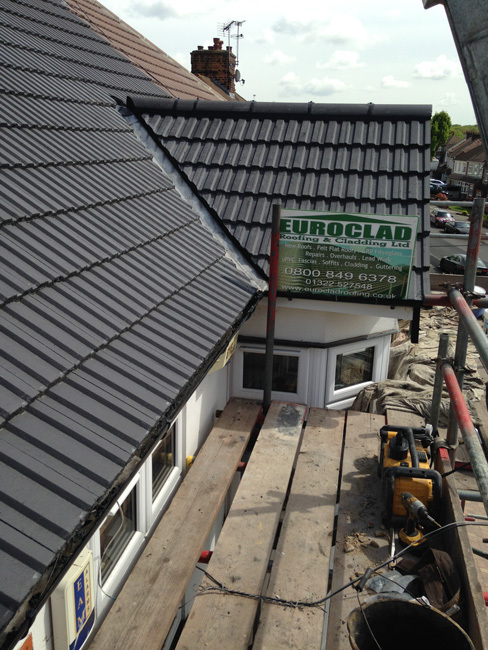 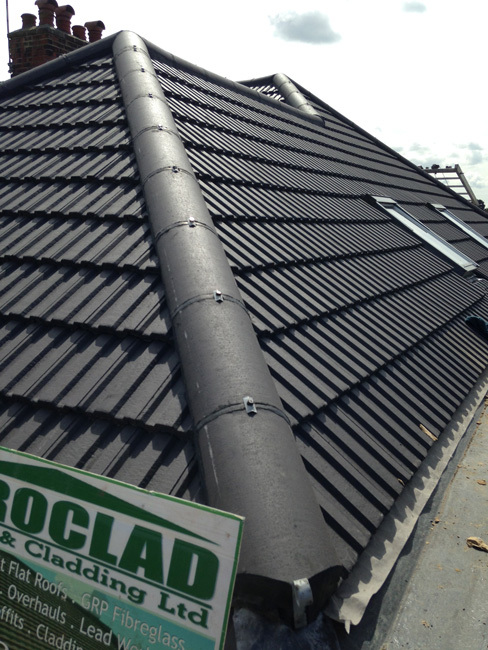 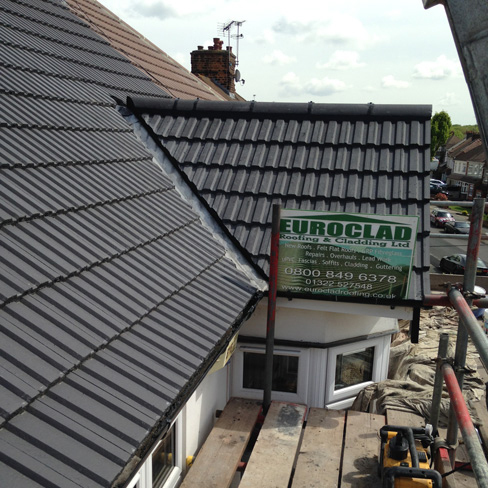 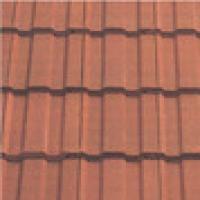 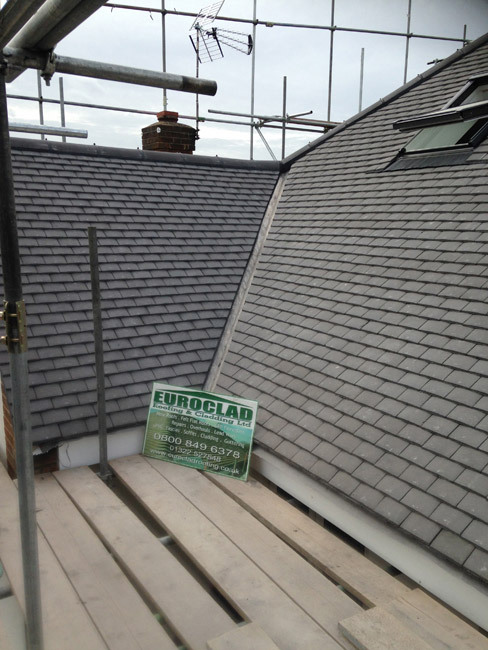 We are specialists in all New Tiled and Slate Roofs. 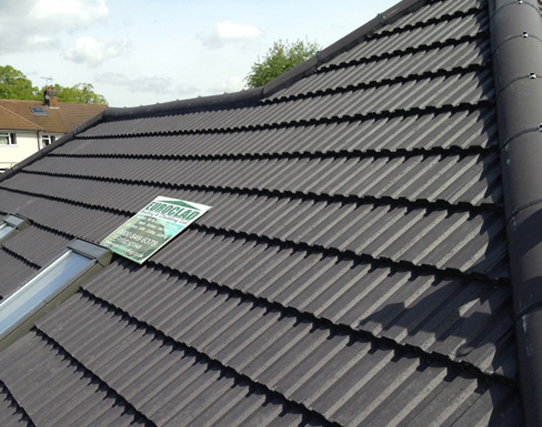 We have been completing new roofing projects since 1978 which means we have put thousands of new roofs on domestic houses in different styles and colours. 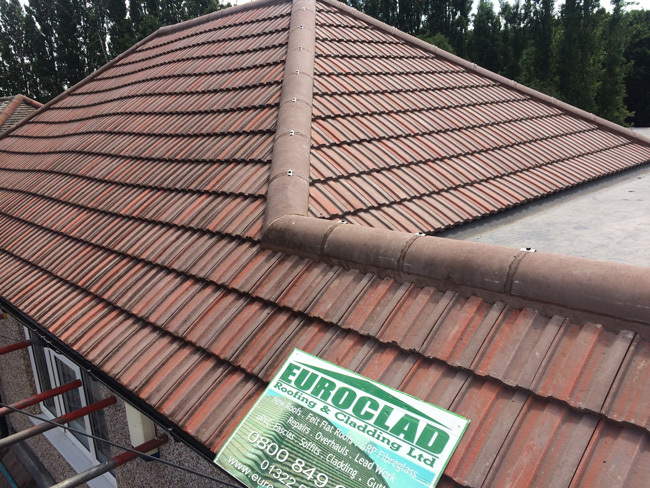 A visually appealing, small interlocking cambered tile that has defined the roof scapes of London and the South East for more than 50 years. 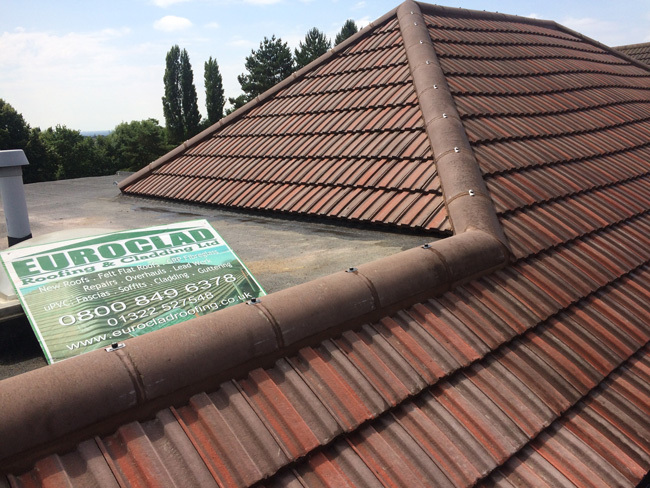 This tile has recently been improved and with its ease of installation is a major benefit in domestic new build or re-roofing applications. 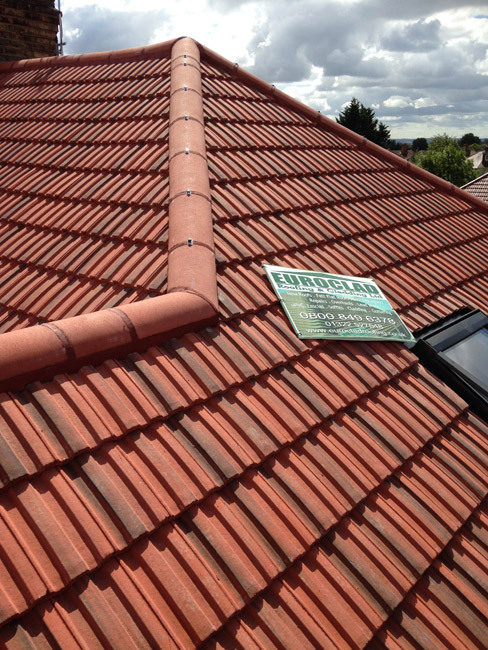 The Concrete Plain tile creates a highly desirable roof and as a design has been used since the 17th Century. 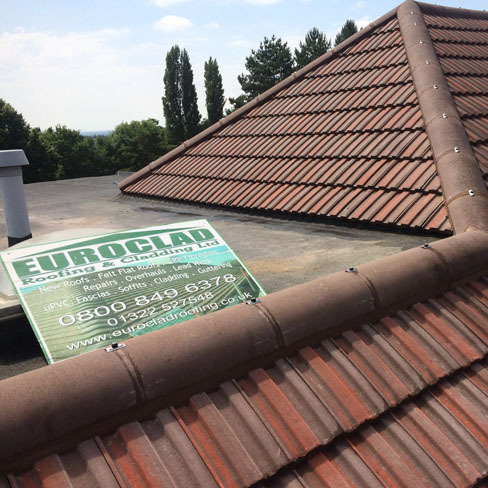 Plain tiles are small and rectangular in format and have always been 265mm x 165mm (or in fact 10 ½ " x 6 ½ ") in overall size, requiring 60 tiles per square metre. 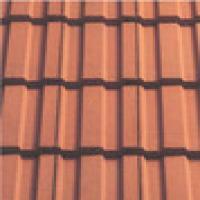 They perform by overlapping densely up to three tiles deep to achieve a watertight layer. 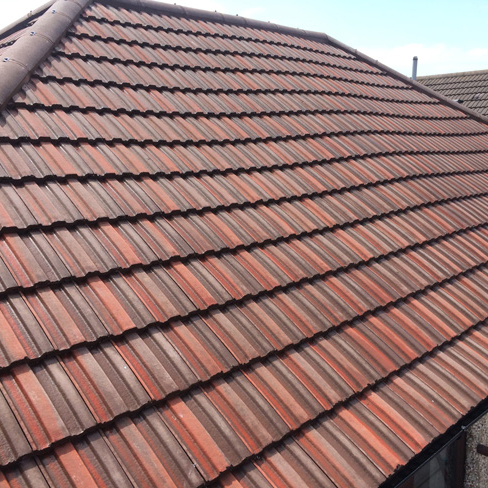 It is this functional requirement that creates their rustic appearance, adding a sense of detail and texture to the roof. 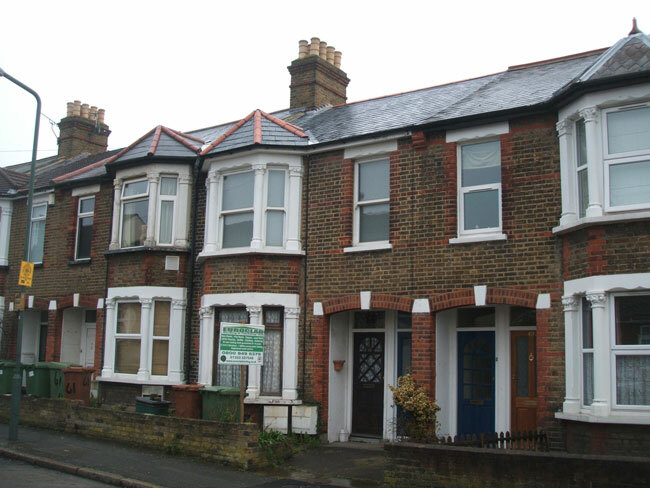 This character is enhanced by the effect of cambers longitudinally and across the width. 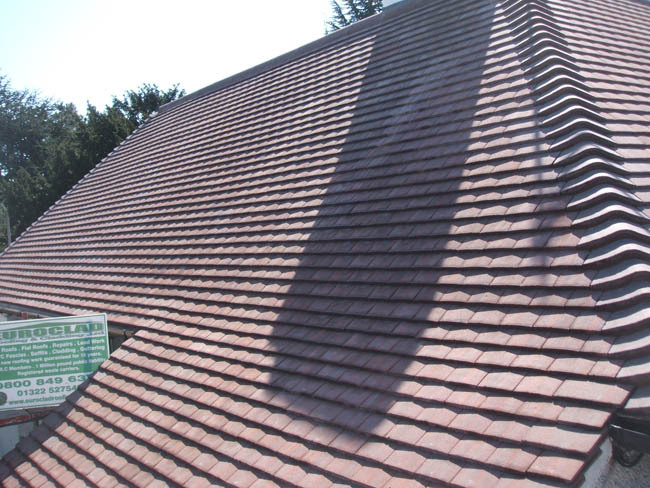 This versatile, cross-cambered concrete tile is an alternative to the traditional clay plain tile, and is perfect for complex detailing and curved roofing. 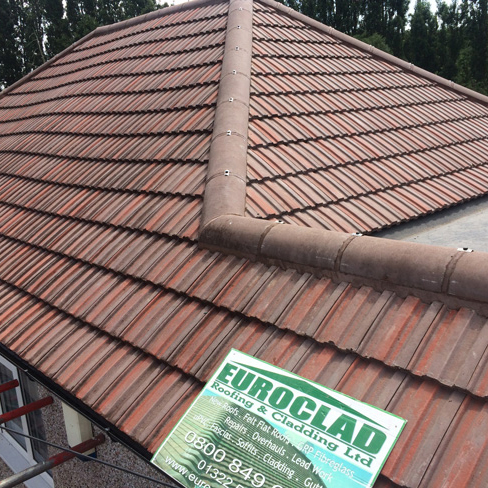 Available in a choice of 2 textures and 9 colours, the plain tile is suitable for roof pitches down to 35 degrees and for vertical cladding applications. 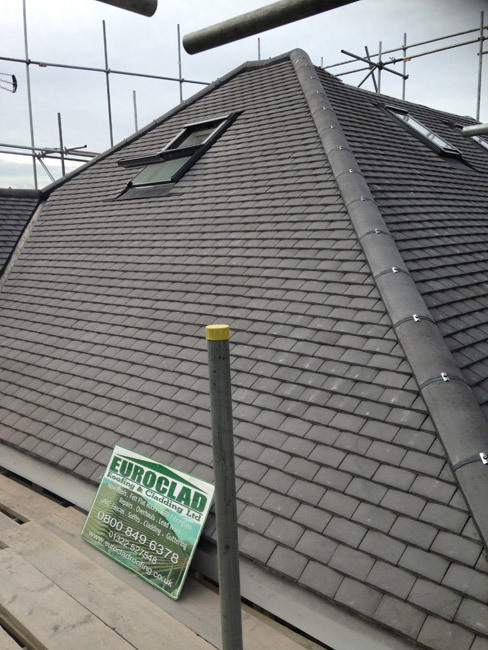 Natural slates will last the life time of a building if installed correctly and have been widely used on major projects such as supermarkets, schools, hotels, city offices and prestige buildings. 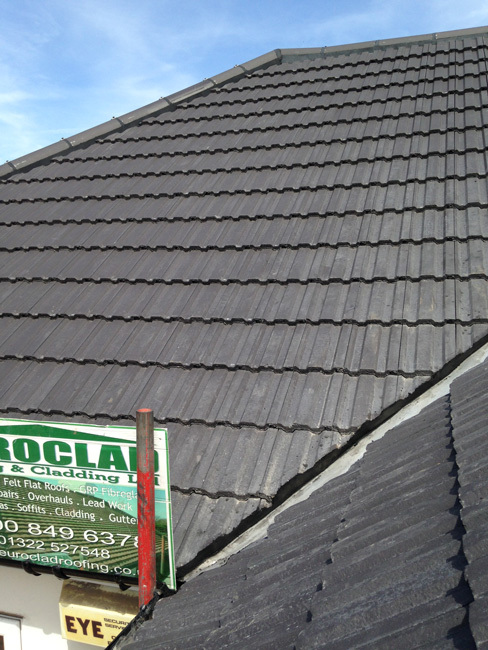 They can withstand the most severe weather conditions and are unaffected by sunlight, ultraviolet light and even acid rain. 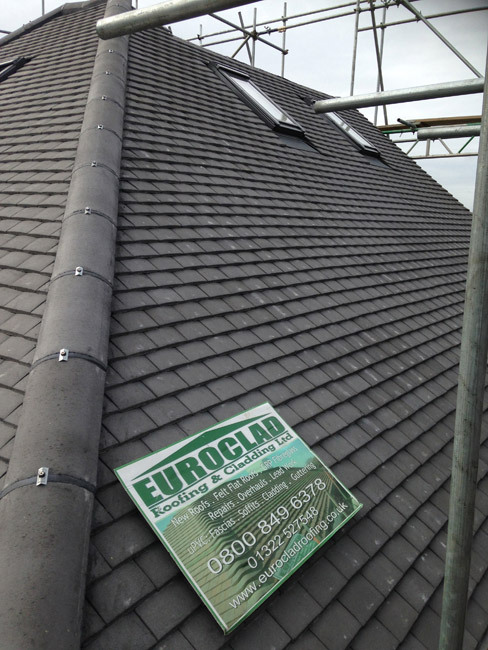 Eternit 600mm x 300mm (24" x 12") man made slates are an attractive flat, square edged fibre cement slate that are manufactured to the highest European standards. 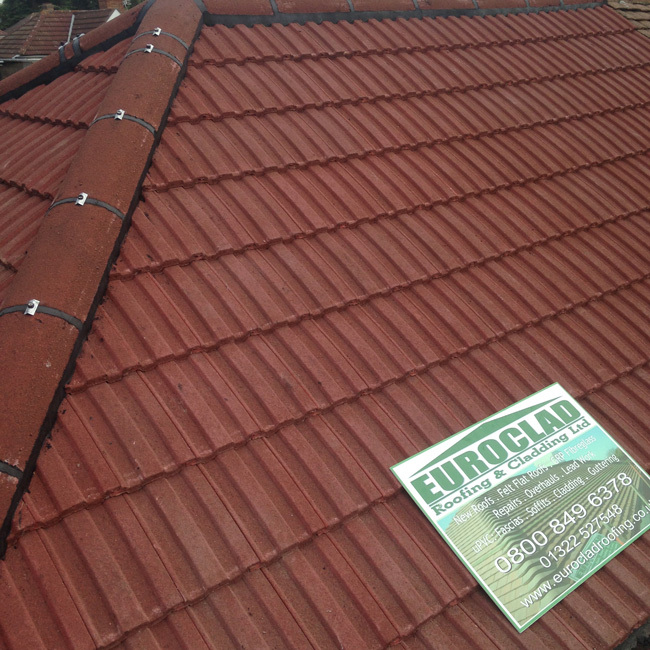 They are lightweight, preholed, suitable for all types of projects, easy to handle and install, durable and an economic alternative to natural roofing materials. 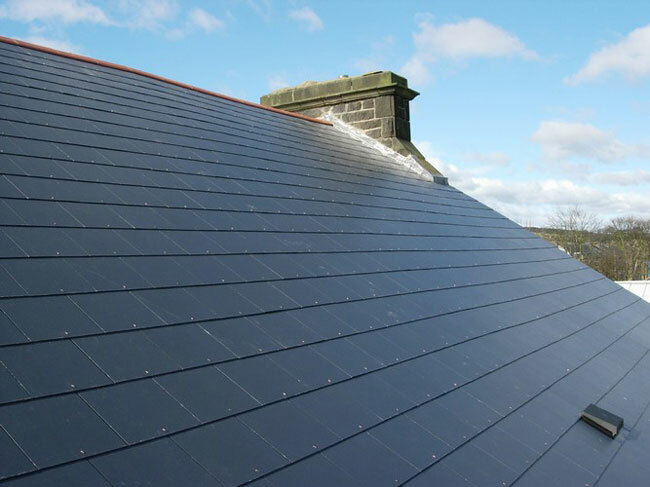 With their lightweight, low wastage, design flexibility and ease of installation and it's easy to see why they are the choice for all types of new build and refurbishment projects, including houses, flat-to-pitched roof conversions and challenging commercial projects. 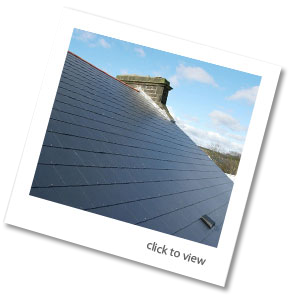 Eternit slates are manufactured using Portland cement together with a non-asbestos formulation of superior blended synthetic and cellulose fibres, and are pigmented during production and are fully compressed. 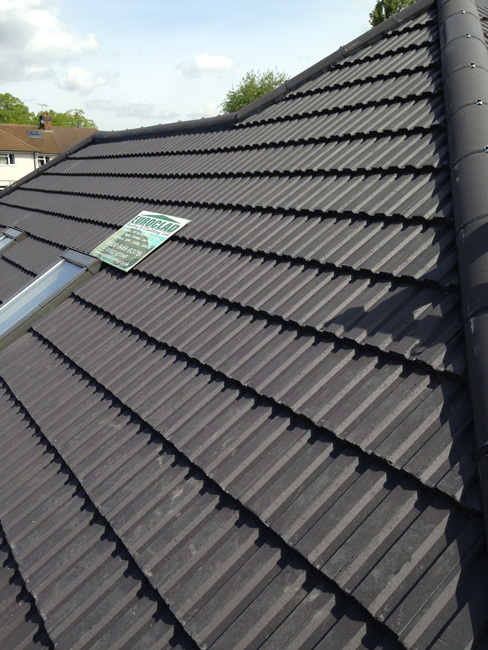 They are finished with a high quality, semi-matt acrylic coloured coating to the top face and edges and a tinted, high performance binder to the back face. 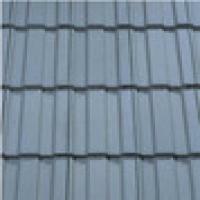 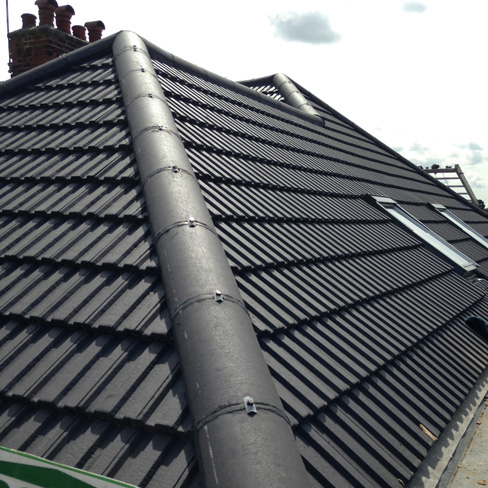 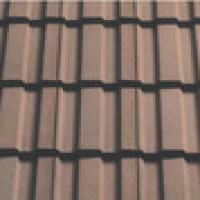 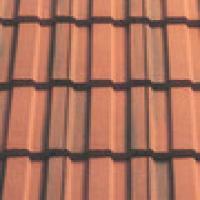 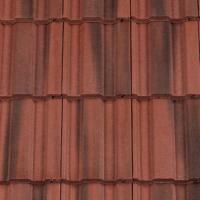 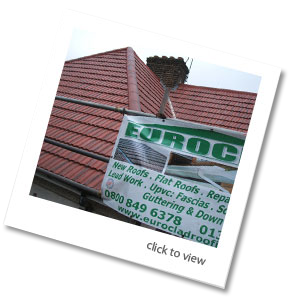 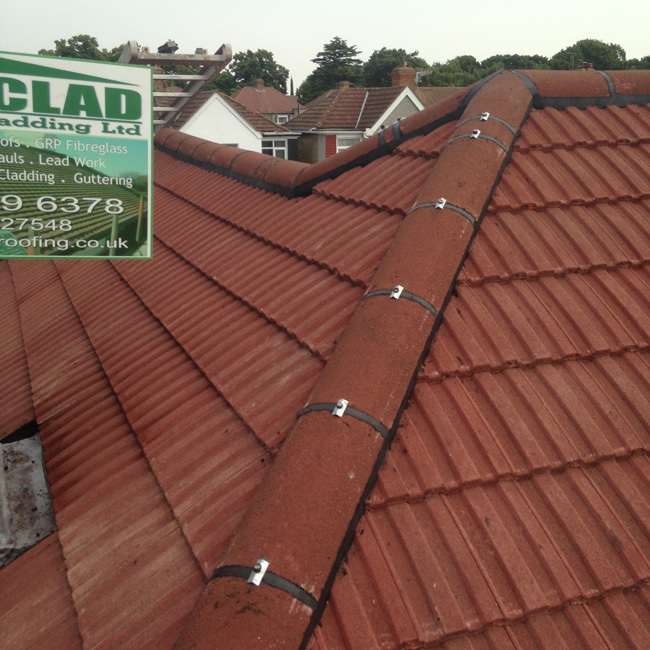 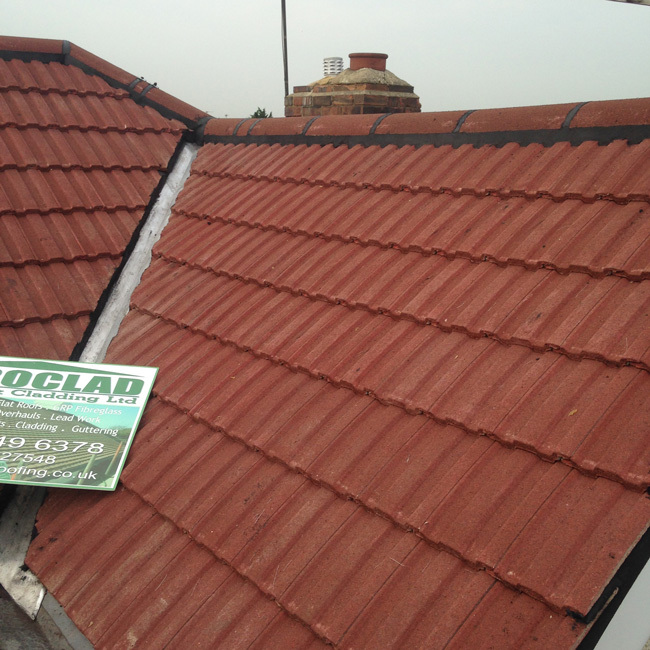 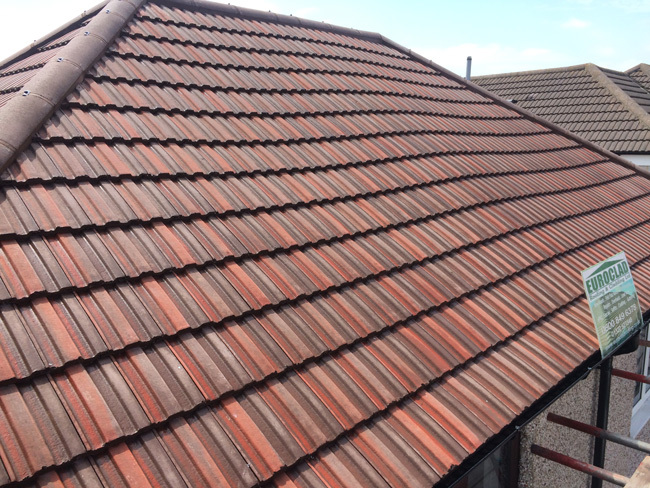 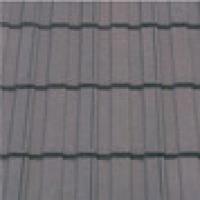 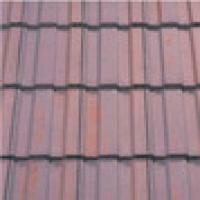 We also carry out all aspects of Tiled/Slate roofs including all roof repairs. 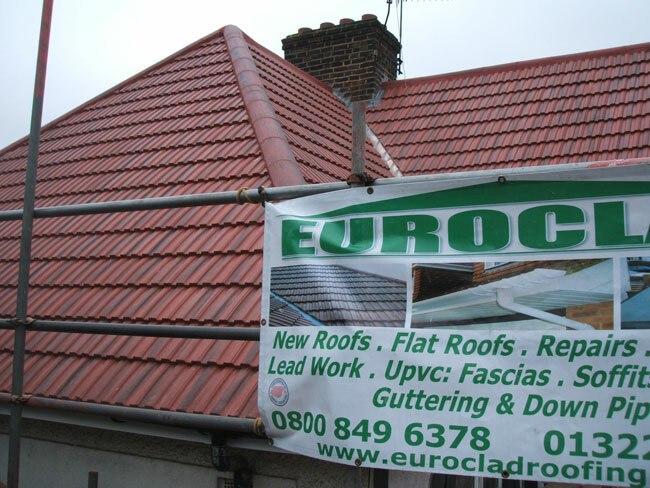 So contact us on 0800 849 6378 for a free quotation today!